Two women are squatting next to a bath, while a third sits in the water. This is the same gorgeous onsen resort in Hakone as shown in Hakone 1880s • Two Women in Bathroom. See that article for detailed information. 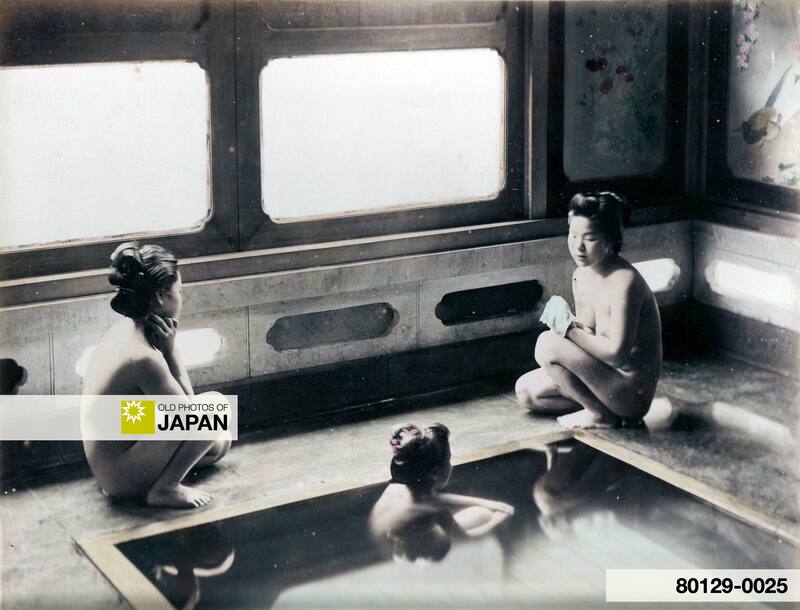 We know that this photo was actually taken in Hakone, because a photo exists of this bathhouse with a title in the negative that identifies the location as Hakone. You can also licence this image online: 80129-0025 @ MeijiShowa.com.